/ Modified nov 19, 2018 10:37 a.m.
Arizona Game and Fish continues to re-establish the species. 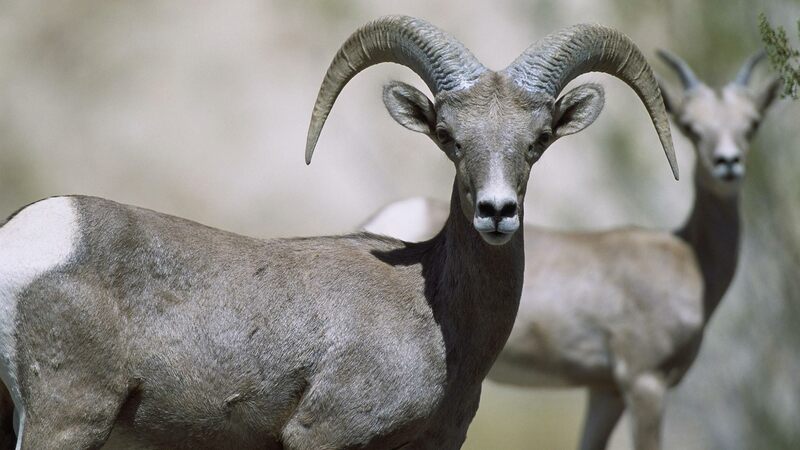 Sixty bighorn sheep have been moved from the Tucson area to new stomping grounds. The translocations are part of a continuing effort to re-establish the species in their historical ranges. Last week, Arizona Game and Fish brought 30 bighorns from the population in the Silverbell Mountains —which is doing quite well — to the Picacho Mountains. They did a similar translocation with another 30 sheep from the Morenci area to north of Payson, where a wildfire earlier this year improved the habitat. It turns out fire is good for bighorn sheep, says Arizona Game and Fish spokesman Mark Hart, because the animals need steep, rocky terrain and a clear line of sight to evade predators. "If it hadn’t been for the Aspen and Bollock fires in the early 2000s in Mount Lemmon, we might not have been able to introduce bighorns to the Santa Catalinas. It cleaned up the dense underbrush considerably," Hart said. "A landscape cleared of fire with fresh vegetation sprouting is a bighorn sheep salad bar." Hart says these animals belong on the landscape. “And whether it’s a charismatic species like bighorn sheep or something less charismatic like Chiricahua leopard frog, we try to restore native species to their home ranges wherever possible in an effort to promote a healthy ecosystem,” Hart said. One in three bighorns were fitted with a GPS tracking collar to monitor their movements after release. The agency’s similar reintroduction efforts in the Catalina Mountains north of Tucson drew criticism when it began killing mountain lions that were preying on the sheep. Hart says the predator management ended in 2016 and the bighorn population is now well established there, with around 66 animals. With luck, the sheep restored to their historical habitat range this month will also flourish.